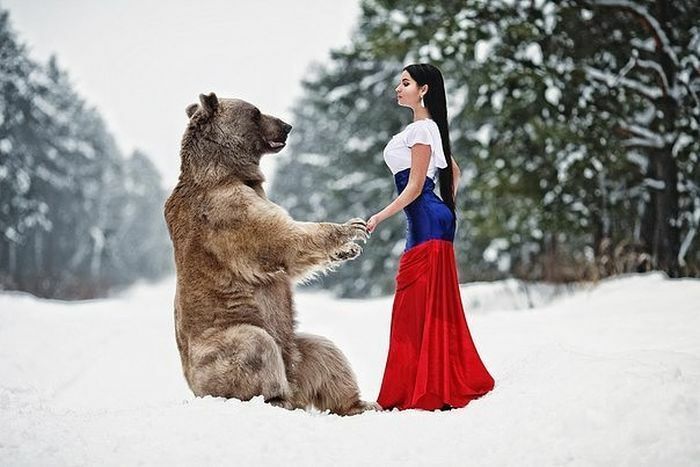 You don't see bears posing with models all that often but this photoshoot was the exception. 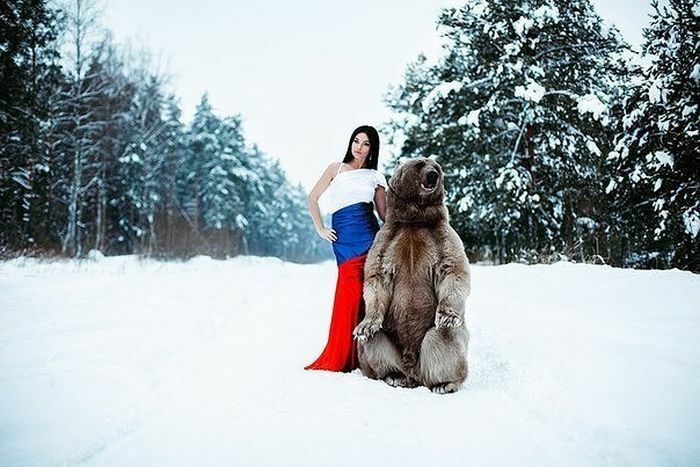 A brave model showed no fear when posing with her new furry friend. 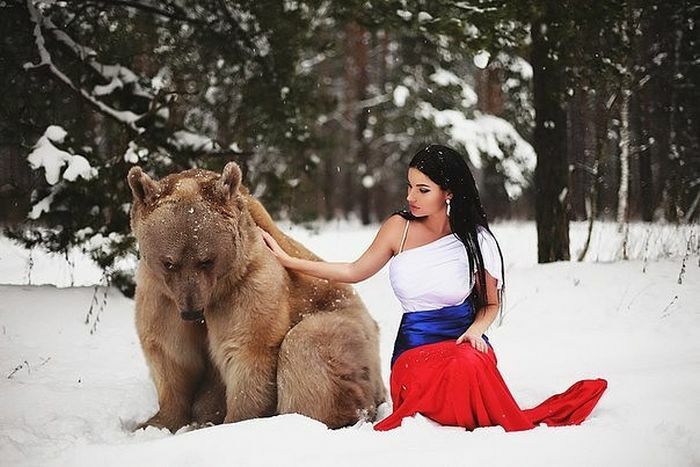 Lucky for her the bear was a professional both in front of and away from the camera. Hmmm. Bit disappointed. Photographer could have done a lot better. 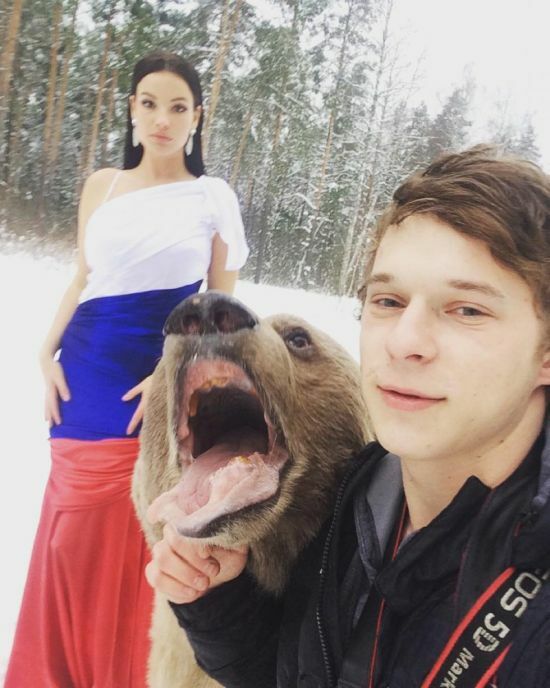 You only see her face properly in his awful 'selfie'. 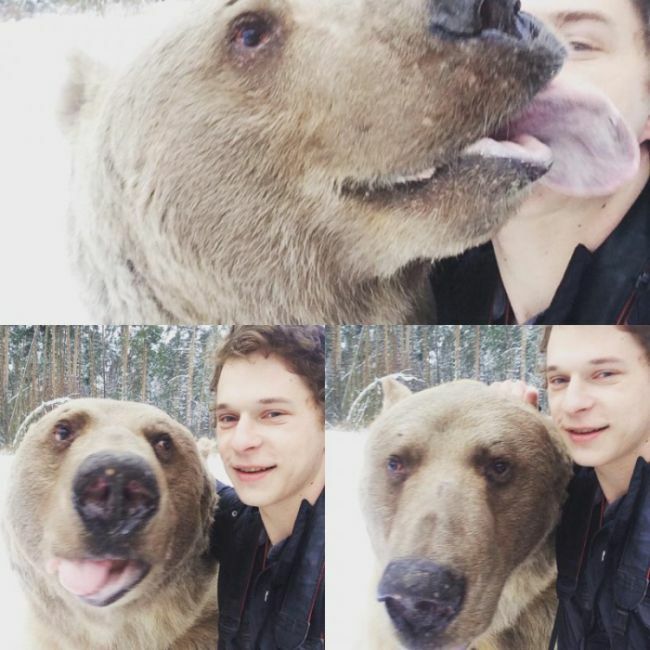 Why they removed the bear's teeth? 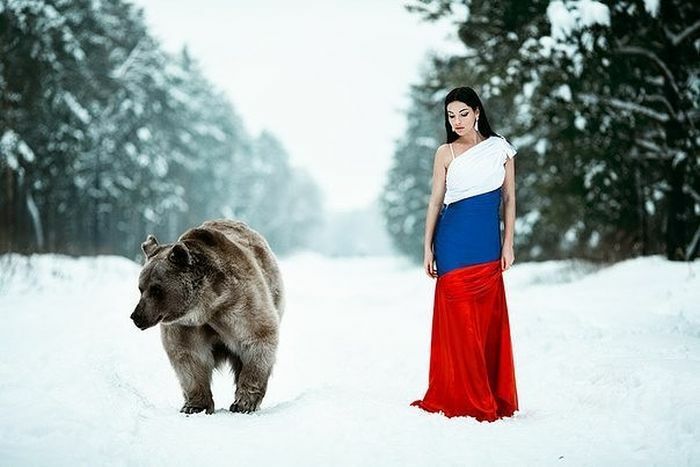 Only in russia is animal cruelty still okay.